Having emerged from obscurity to be the new buzzword, here’s what you must know about regtech. Worldwide, financial services in all forms are subject to extensive regulatory supervision for the protection of a large number of stakeholders. Regulatory compliance – characterised by long and tedious processes and costs – has largely been considered a “necessary evil” for the global finance industry. The regulatory landscape has not been static either. For instance, the global financial crisis of 2008 led to a plethora of new controls. Tightening of prevailing regulations such as Basel II, MiFID II, Solvency II, PSD II etc., as well as newer regulations like General Data Protection Regulation (GDPR), Dodd-Frank Wall Street Reform and Consumer Protection Act, etc pushed up the cost of compliance to unreasonable levels for banks and other financial institutions. And every update brings with it hundreds and thousands of changes in rules, which the financial institutions have to be dealt with on an ongoing basis. Regulatory compliance, therefore, is considered an inhibiting factor for entry into financial services. It costs established institutions billions of dollars every year to stay compliant. According to a CB Insights research, banks in the US alone have paid $ 321 billion (and counting) in fines since the financial crisis of 2008. Growing compliance requirements simply means a higher cost of compliance, which involves trained professionals. It is estimated that globally 10-15 percent of the total workforce in financial institutions are working in the compliance department. Technology certainly helps, but it comes at a cost. Until recently, the options with the global financial institutions to stay compliant were limited. Either they could go to large IT vendors or build regulatory solutions in-house. This vacuum for a cost-friendly option has created a new service category: the regtech specialists. These new-age specialists leverage cutting-edge technologies such as distributed ledger technology, artificial intelligence, machine learning, cryptography, big data, cloud computing, etc. to aid compliance in a more operationally efficient manner. Given the benefits it brings, regtech is fast becoming an integral component of the global banking and financial services landscape. In fact, Deloitte has even called regtech” “the new fintech”, as the term gets prominence among larger stakeholders. Thanks to regtech, a number of financial services processes such as Know Your Customer (KYC), customer credit scoring, transaction monitoring, anti-money laundering (AML) screening, fraud detection/prevention, trade data tracking, risk analysis, and many other areas involving repetitive compliance sign-offs, which are highly prone to human errors, have been benefited by automation. According to Juniper Research, spending on regtech will grow by an average of 48 percent per annum over the next five years, rising from$10.6 billion in 2017 to$76.3 billion in 2022 – as banks look for ways to escape regulatory fines. The growing cost of compliance is driving companies to invest in regtech, contributing to an increase in their funding by venture capitalists. According to KPMG, VC funding to regtech companies in the first six months of 2018 alone exceeded overall regtech funding during 2017. Meanwhile, in an increasingly connected world, the regulatory landscape in Asia has evolved nearly in tandem with its Western counterparts. Today, Asia is very much at the forefront of the financial services and financial technology developments, and the Asian regtech landscape has been rapidly evolving and maturing. This evolving environment now provides a healthy environment for fintechs to ‘grow right’ and ‘grow exponentially’ in Asia. With innovative financial products raising the compliance-related complexities, the role of the regtech is changing from crucial to critical. 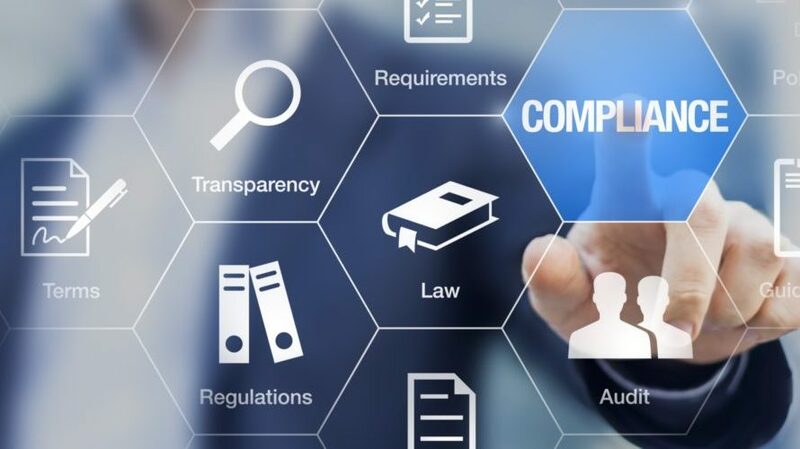 With the promise of a better-quality and cost-effective compliance, regtech is also attracting interest even from the governments, which have started its exploring potential. Within Asia, the focus on regtech in clearly visible in Singapore where fintech has found great support from the government. Singapore’s commitment to regtech is evident in the proactive approach taken by the Monetary Authority of Singapore (MAS), which is bringing the stakeholders – banks, financial institutions, regulators, startups and entrepreneurs – on a common platform to explore how best the latest developments in regtech can be implemented for an efficient regulatory framework. MAS has already claimed leadership on the e-KYC front with its MyInfo initiative, a digital service for users to authorise third-party access to their data. The disruption of banks and financial services is a well-known phenomenon. Players who sustain this, however, will be those who get the regtech aspect right. With the wider implementation of regtech solutions, instances of massive write-offs and expensive lawsuits for compliance-related oversight by financial institutions are likely to get less dramatic. © 2019 admin. Built using WordPress and OnePage Express Theme.